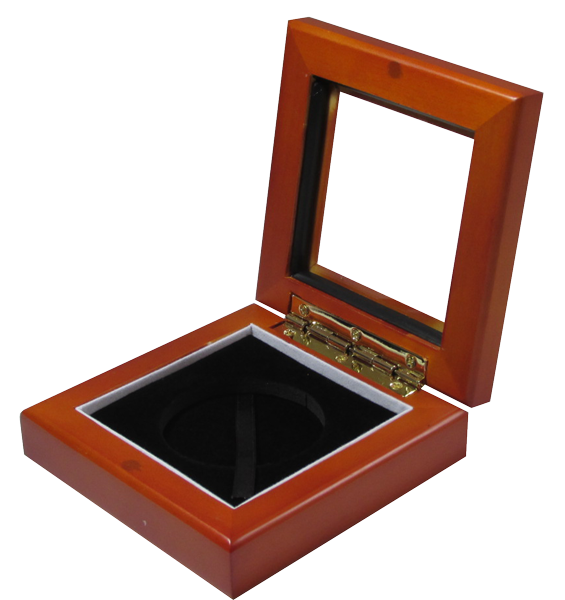 Guardhouse coin boxes hold coin capsules. 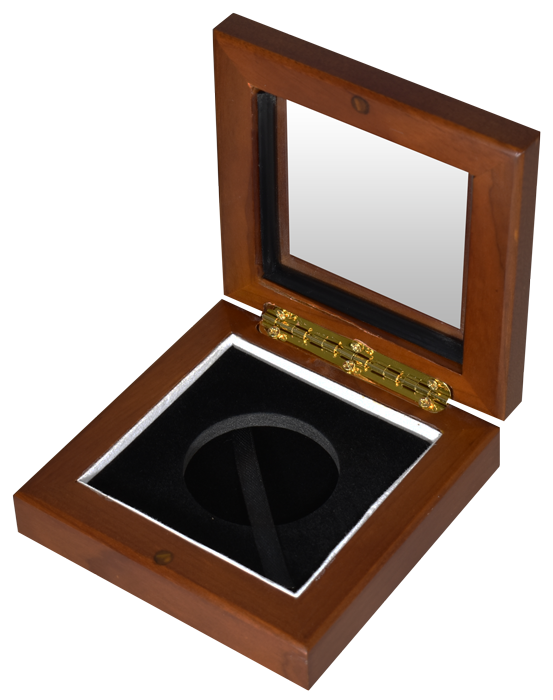 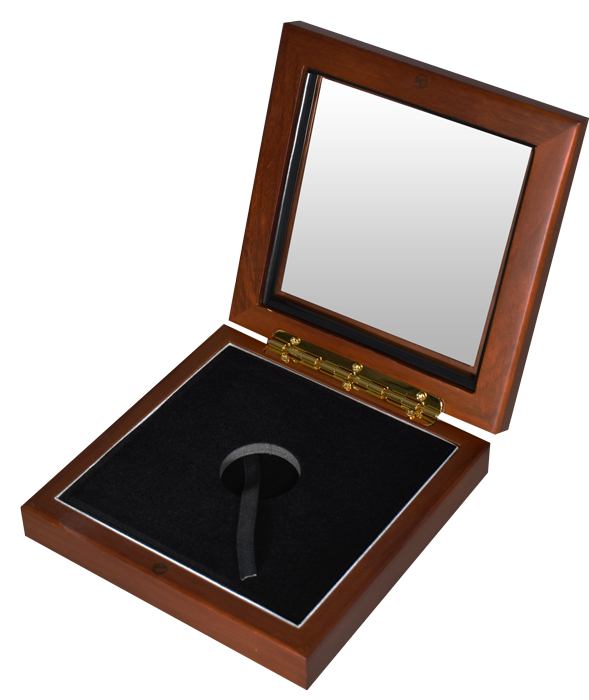 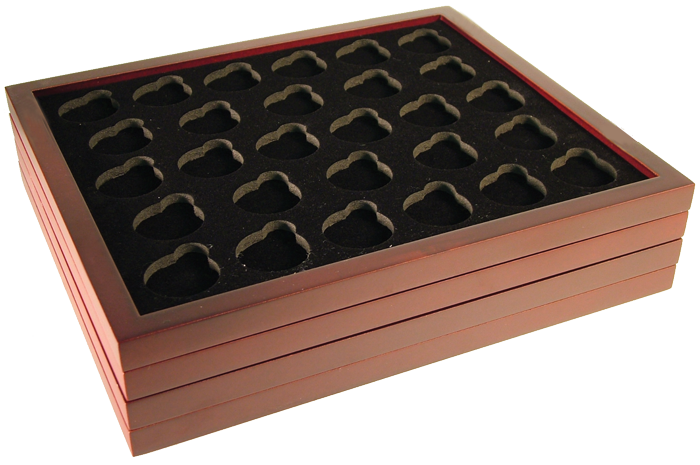 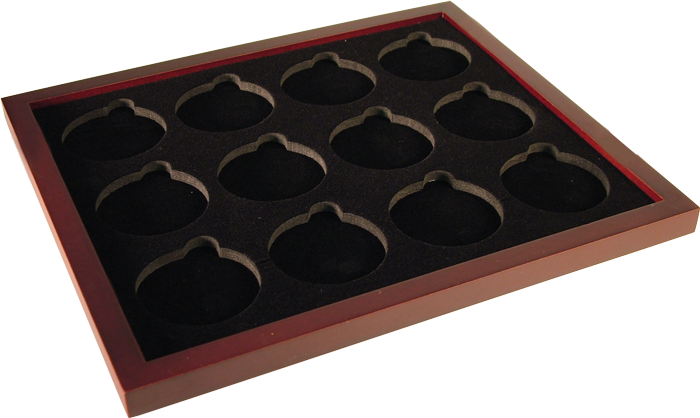 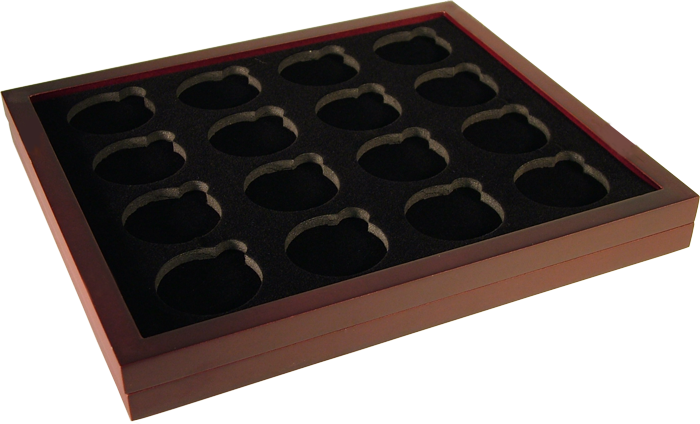 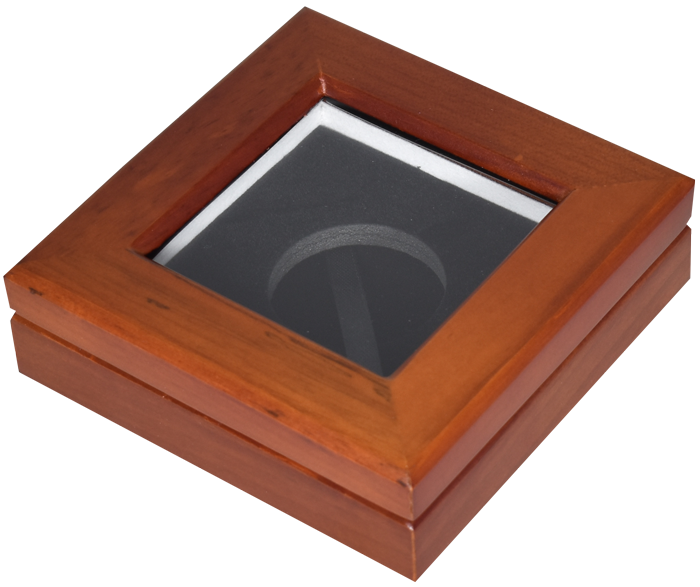 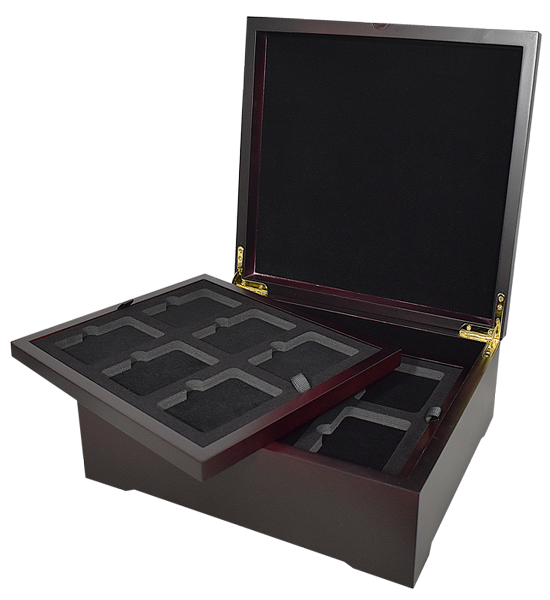 Each coin box has one or more openings, or slots, for this purpose. Both the coin box slot openings and coin capsules are identified as Small (S), Medium (M), Large (L), Extra Large (XL). 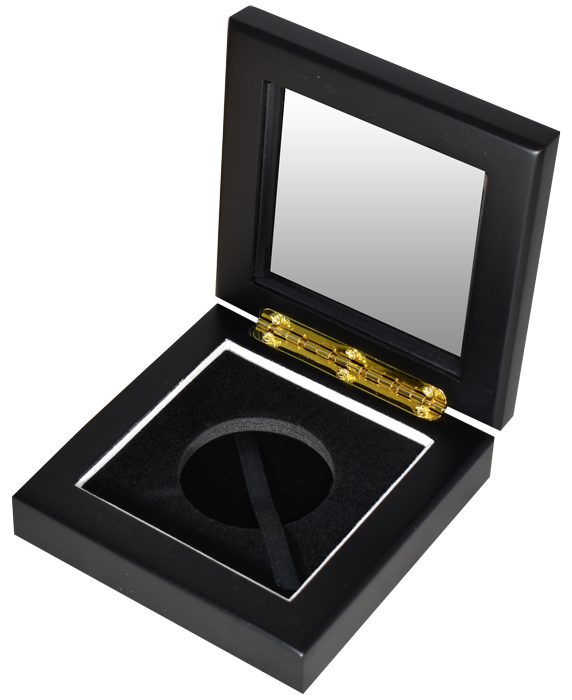 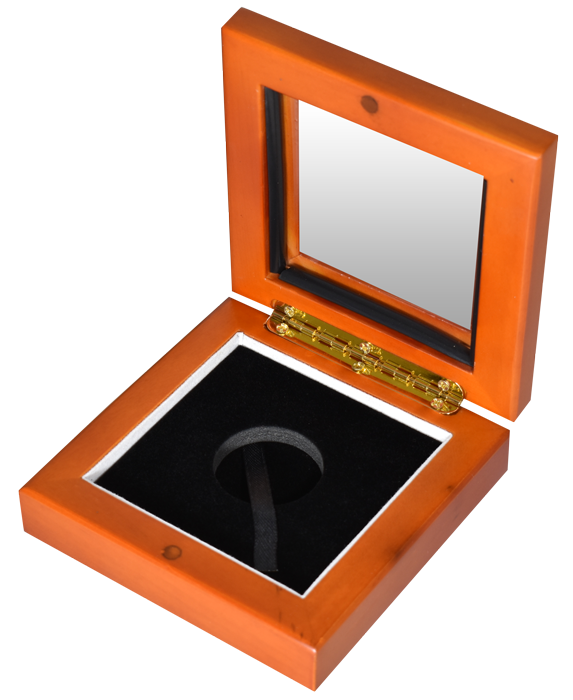 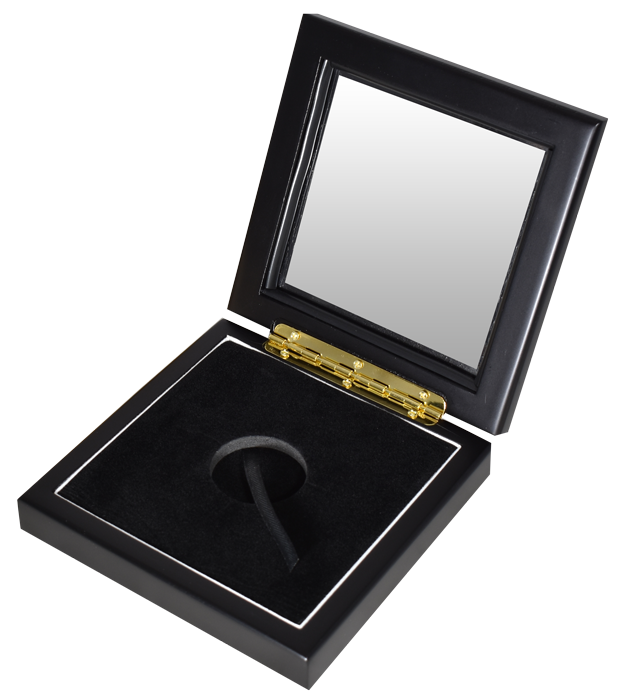 When choosing a coin box for your coin, or coins, match the box slot size to the coin capsule size. 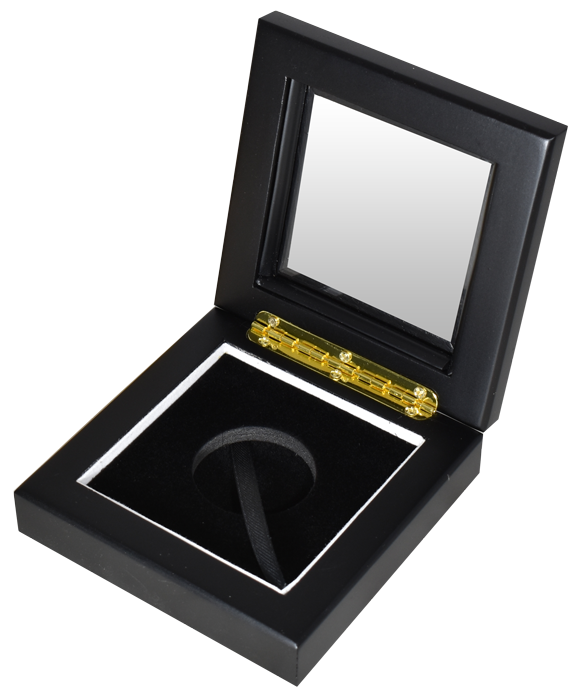 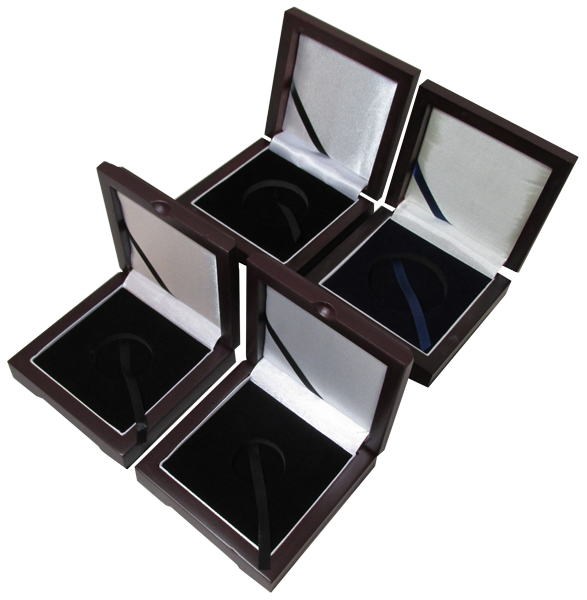 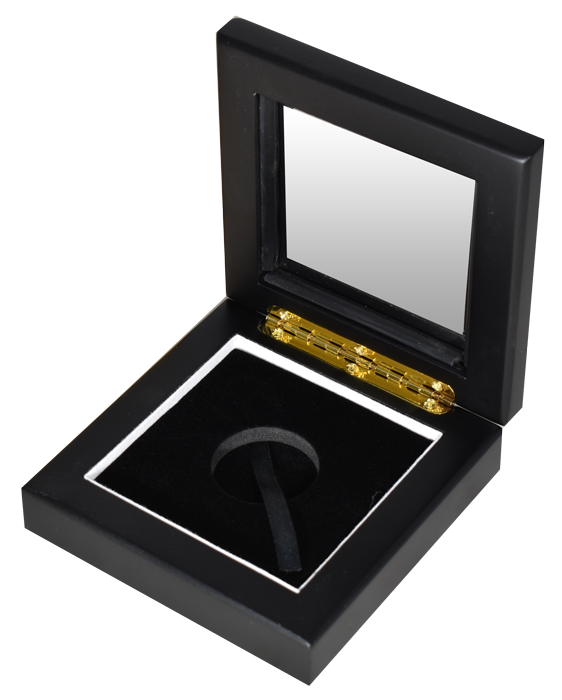 Coin capsules come in direct fit or ring fit. 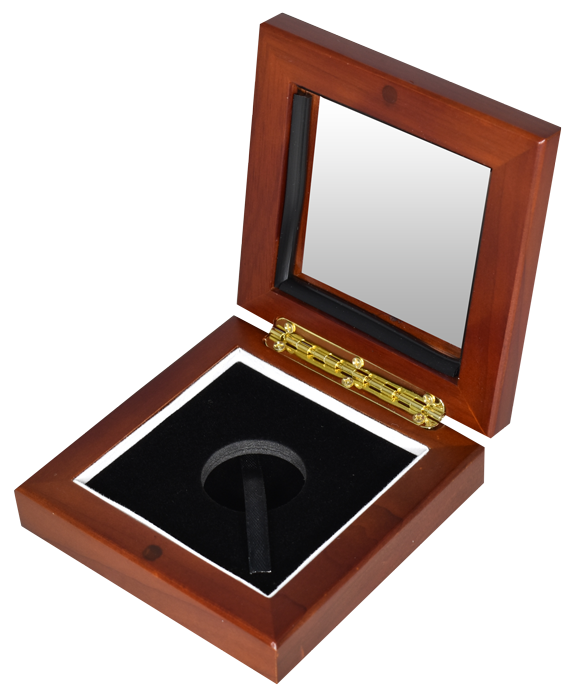 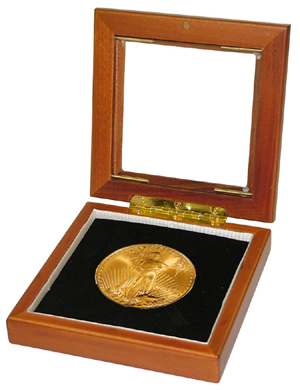 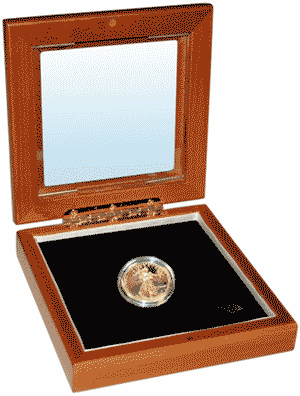 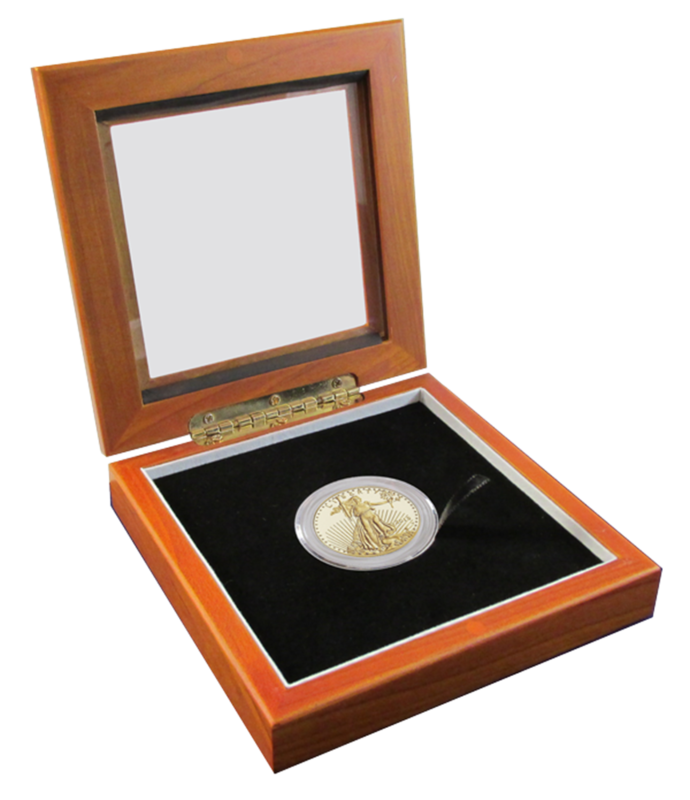 We recommend direct fit for standard U.S. denominations, and ring fit for everything else. 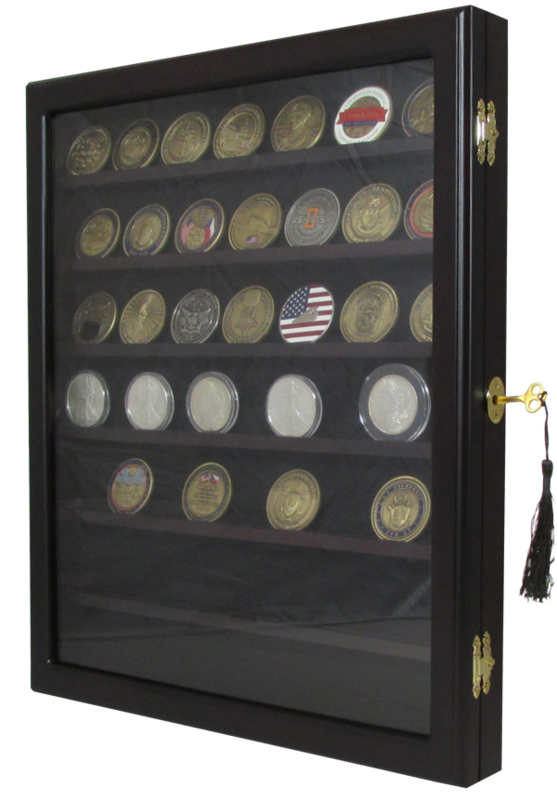 Challenge coins require no capsule.